I've been meaning to take part in a Sheng Olympiad event by Liquid Proust (Andrew Richardson) since interviewing him about group buys and selling teas in interesting ways a year and a half ago. He had been into selling novel blends for awhile, like French Toast Dian Hong, but switched over to plain sheng a few years ago. 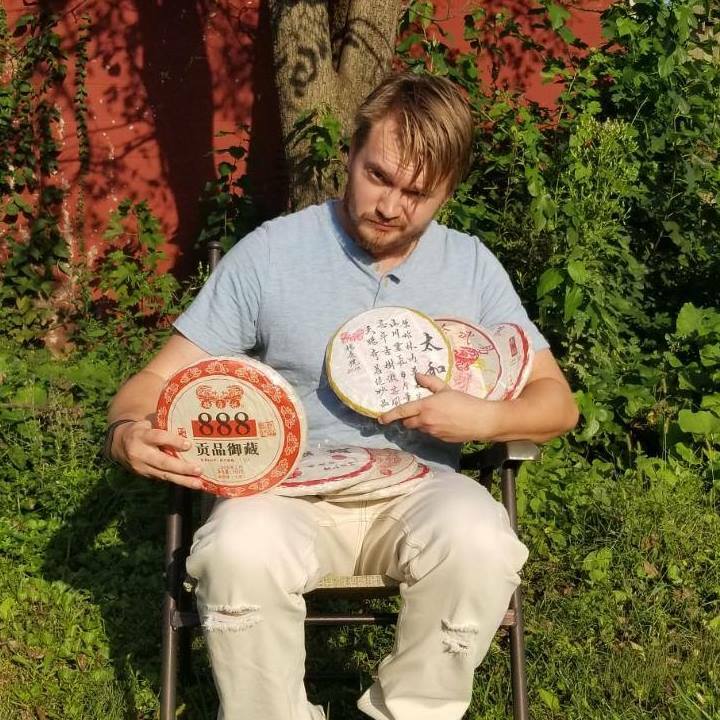 This set isn't the Sheng Olympiad, the group buy he talked about then, it's a beginner's set, designed as an introduction to pu'er. In a sense that's not ideal because I'm already introduced but I'd still like to see what it's about, to check out the range. I'm sure some of it will be new ground to me. To some extent it could work to share a more informed impression with others who are trying the set based on limited background (more his intent), but taking part wasn't really mainly about that. It's not as if I could communicate what these teas are really like; I'd just have one more person's opinion on them. The point is to help get the word out, or maybe more about just seeing a notice in time. He posts about these things on Steepster and Reddit but people not active in those places wouldn't even know he even sells tea, never mind about catching word of a group buy. 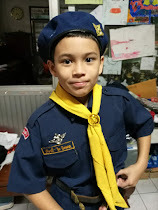 Andrew seems to not do this for profit, probably losing a considerable amount of money on this particular venture, using profits from more conventional sales forms to fund it. I had to double what he asked for in compensation so he would make back some tea expense instead of just covering overseas shipping. Towards an explanation, selling tea is not his day job. That's all very admirable, isn't it? I've taken up some degree of role of tea evangelist myself but not like that. I'd recommend for others who are interested to take part in his group buys, and also to help him keep going with it by buying teas at closer to market rates (probably still on the really low side for mark-up, from the looks of things), from that sales page. 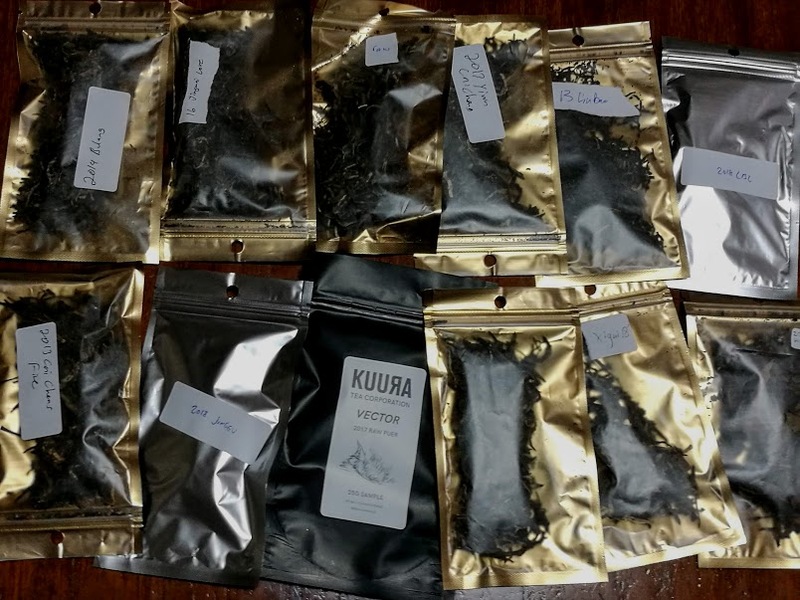 Choosing teas to try in order from a large set is an interesting aspect, in this case as a set, as I tend to for comparison posts. One approach might be to try less expensive to more expensive, to get a feel for the range from more basic offerings first. Or trying more familiar teas first might make sense, for the same type of reason, to ease into comparison from a familiar direction. Ordinarily side-by-side tasting only works well if the teas are very similar, and that would involve considerable reading up to try to make that judgement. Most in the set have limited information available about what they are, with one only listed as "raw." I'm curious about that one. Given how critical aging is as a factor comparison tasting from the same year makes sense, and probably starting with this year or last year's versions, to take out storage and aging as a variable initially. I suppose that's a reference to the "familiar versus unfamiliar" approach. Aging changes different teas in different ways, with storage environment playing a large role in that. 2017 Yiwu Chichang: given handwriting that may not be it, but it's surely a 2017 Yiwu. There's a Yiwu Chawang on his site that looks interesting but the writing can't say that, it's too far off. 2017 Impression: I assumed it wouldn't be hard to sort out what that refers to since it kind of rang a bell. It turned out to be a basic in-house blended cake from Yunnan Sourcing, explaining that. I won't read up on these further before trying them, saving that for the edited write-up. I know what to expect from Yiwu versions, the general range, but for the other two I kind of only know the year. Better that way. It also seems as well to not make this write-up a description of what else is in the set. One is labeled as "LBZ;" that stands out. Some are various ages, most with a year and location origin mentioned versus specific version, with some exceptions. One is a Liu Bao (a different hei cha), another a huang pian sheng (yellow leaf, people tend to call that). For a sheng drinker it's Christmas in September. I try a lot of tea samples due to writing here and this still stands out to me as a unique experience. The next section is on general tasting concerns, with a longish round by round tasting notes following, ending with vendor input about what these teas are and limited conclusions. If the tasting notes get to be a bit much it would work to just skip ahead. Tasting teas one by one works better in a different sense. You don't get the same input about comparing fine levels of details in two, which can be helpful, but 10 or 12 infusions of a single tea is already plenty to take in. If two teas are different and you comparison taste them together (side by side) you will pick up less detail instead of more; it will be too much to process. To some extent tasting practice can offset that but only so much. 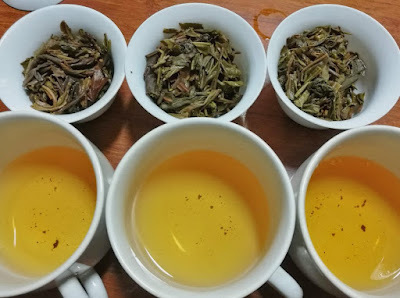 For tasting even a single tea outside inputs are problematic, interruptions, level of noise, limited time frame; for tasting two or three all the more so. Eating food along with the tea is not a problem, if it's very mild food, and not mixed in bite for sip, more a counter to the effects of just guzzling lots of tea. If you want to maximize the drug-like effect of teas eat no food with them; if you want to limit that eat some. Comparison tasting a decent number of rounds of two or more relatively young sheng could be a problem for most people's stomach with no food input, but that would vary by person. The idea of cleaning your palate comes up, both related to what foods you should avoid and which will help you get back to neutral between rounds if you are trying multiple teas at once. Water that's cool but not too cold works well for that. If a tea has a pronounced aftertaste (tied to the hui gan aspect / effect, which I won't get into more here) then one sip won't do it, and that will seem even stronger as you drink the water, but a few sips should tend to clear the slate. Yiwu: this round is a little light, and the teas are still opening up, so this will have to just be first impressions. This could definitely pass for a Yiwu; it's sweet, floral, bright, with decent intensity, and not too bitter or astringent, with a decent balance, with mineral filling in a base. It will be easy to place related to style and quality level since I've been drinking so many but I'll hold off a round or two to give an opinion. Impression: Interesting. This has some floral range but more of mineral tone that's not uncommon in sheng. It's not as bright and intense as the Yiwu but with these still opening up it's early for any comparison. It's definitely clean and positive in character, with a nice aftertaste showing up even with it so light. Kuura Vector: much earthier than the other two, in a completely different range, although I suppose it works to see that as a continuum, of bright and floral to earthy and broader in range, with the Impression in the middle. On the light side early on it's hard to place that; woody, maybe, more in the range of young tree bark than lumber, or probably just as much in the mineral range, covering both a creek-bed scent and some aged iron bar. It's hard to place in what sense I mean that as "good" or "bad," but to me not either is intended. I'll fill in more about preference later; for now I'm just flagging initial impression of aspects. I'm pretty sure this isn't Yiwu; that's all I've got for interpretation so far. It's a little cleaner in effect than that aspect description probably implies, with less bitterness and astringency than I'd expect for being in that range; it's quite approachable. Yiwu: I brewed these for around 10 seconds and this isn't as intense as I would have expected. It's pleasant; floral, sweet, bright, with a nice light mineral base, clean. It does seem like a year old Yiwu to me, not all that changed by age but maybe softened and toned down just a little. This isn't astringent at all, with essentially no aspects in any earthy range. I really like this style of tea but it's starting to just seem normal to some extent. It's a decent version, it seems, with intensity and aftertaste a bit more developed in better expensive versions but this is pretty good, not really a basics version. Impression: This changed and improved a good bit; I get the sense it's not really where it's going to be yet too, not opened up yet. It's not challenging, not bitter and astringent; that works well for me for younger sheng character. Again it's along the lines of young tree bark with mineral between rock and a little aged metal. The warmth picks up and it heads a little towards spice though. It has nice balance, good depth to it, and decent aftertaste intensity. The metal and mineral really sticks around after you drink it, which is more pleasant to me than it might sound. The effect overlaps with sucking on a penny; I suppose preferences would vary related to the taste of pennies. Kuura Vector: This develops too. It's picking up more metal range, and mineral stands out more, with good complexity and warmth. The slightly musty creek-bed mineral range has cleared up and transitioned (not musty in the sense people would probably take that; clean in overall effect, but more of a damp-rock range, that's different now). Again the continuum idea of these teas seems to still work; this is more intense than the others, just in a different sense. Where the Yiwu is bright and limited in scope and the Impression covers more range that's earthier and more metal oriented this goes a step further, in a similar direction. It's probably as well to talk through a list more next round, since I don't like to repeat that, and it will be where it's going to go more then. 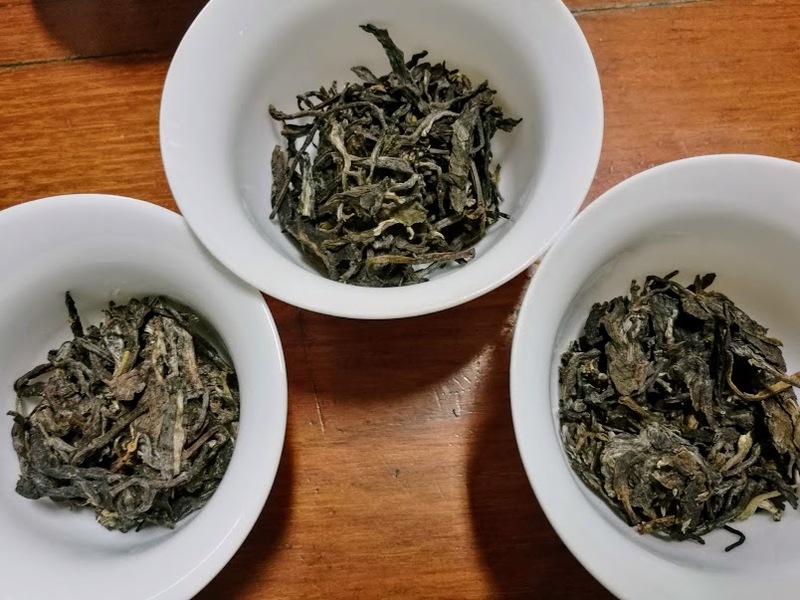 Yiwu: This isn't transitioning much, but that goes along with the general type (per my experience, which I won't keep emphasizing, but I've been drinking a lot of Yiwu this past year). People might interpret that flavor range as including plenty of fruit or none at all; it's a judgement call. It's definitely floral, that doesn't seem a matter of interpretation. The range warms up and deepens a little but otherwise it's not different. At the same time it has plenty of bright, higher end range, which I interpret as towards a lemon zest citrus. Body thickness and mouthfeel is decent, not pronounced, with aftertaste standing out more (long finish; however one puts that). It's good, and type-typical. Impression: This tone is brightening a little instead of warming at this stage; it transitioned a decent amount. It's not a stretch to say part is citrus related in this now too, with floral picking up. The warmer mineral and metal range has dropped back, now just a lighter base. The balance is nice. Again feel could be more intense but for the tea not being overly bitter or astringent it's fine, with aftertaste drawing out pleasantly. That's not the experience of a tea flavor being stronger after you drink it, or staying just as intense for 10 minutes or longer, but that aspect is significant, as it was for the first tea. 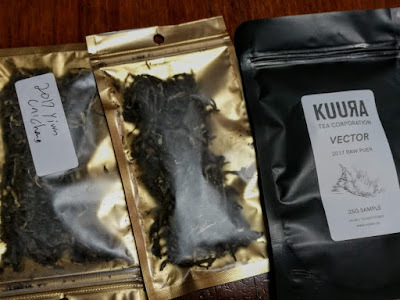 Kuura Vector: This tea picked up a hint of smoke; that's interesting. It also brightened a good bit, and bitterness picked up slightly, with earthiness dropping back; odd. It's interesting the way these teas are drawing closer to each other, not really similar now, but not as different. Unless I'm just imagining that. I'll check back about it next round. Yiwu: mostly holding steady; that slight transition over the last couple of rounds hasn't extended. Impression: where it was last round too; complex, more floral now, well balanced, with the mineral and other range falling together nicely. I didn't expect these teas to be quite this good. Getting some feel for the range of what's out there is nice but I think these represent well above average versions, related to randomly trying moderate priced commercial teas. Style varies, related to regional inputs, processing choices, growing conditions, how finely material is chopped, and all the rest, so it's not just about quality determining character, but these seem good. And they seem like three styles suitable for drinking young, to me; not all sheng would be like that. Kuura Vector: more of the same for this one too; bright range stands out now, floral and even citrus, with bitterness up just a little but still balancing well. These probably are most different related to the base layer of aspects, the underlying mineral range, or how much metal comes across in aftertaste, with flavor closer than they'd been except for in that last round. This has more aftertaste effect, as with the second sample not far off sucking a penny, but stronger for this tea than that one. It comes across as the most complex of the three, picking up intensity slightly where the other two mellow out just a little. All three are nice though, just different in lots of subtle ways, as much the same than different now in a sense. There's an earthier / mineral base tone in this that's similar to a mild version in the second and missing entirely in the first, that's a bit hard to describe, I suppose like some kind of rock. I'll probably just give these one more round since that's plenty of tea to drink, and they'll start to taper off around now, not fading, but giving up transitioning as much. Yiwu: as I interpret it citrus is stronger than floral aspect range now, which is cool, and pleasant. It might've seemed like lemon zest earlier but now it's onto an orange peel range, warmed up a little. The tea isn't really complex but it has plenty of depth and it's nice the way the positive, pleasant aspect range that's there is so intense. To me this is how Yiwu should be. There's always room for intensity, feel, or aftertaste to ramp up but this is pretty good. Impression: it seems like I'm thinking "citrus" and could be adding that to the interpretation of these teas; it would be odd if all three had as much of a related aspect as I'm noticing. That can happen; if you think malt, cocoa, or black cherry while drinking black teas you can tend to always notice pronounced traces of those, even if you wouldn't coming at them from more of a clean slate. I'll do a second palate reset by sipping some water and check again. Still there; I'm probably just stuck on that, with some of what's going on potentially interpreted as such. Anyway, this tea adds a bit more flavor depth than the Yiwu, swapping out intensity and brightness for range, with more warmth filling in beneath that, hard to isolate for that brighter range standing out. Both work really well. Aftertaste isn't on the level of the third version but it's not gone as soon as you drink it. Kuura Vector: what I'd noticed reminding me of smoke has softened into what comes across as a maple sugar range now, tied to sweetness. This tea is still picking up depth and transitioning, not at all tapering off. One lighter part could be citrus related, getting back to that theme, but it covers a lot of flavor range. The main version is an unusual form of wood-tone, a bit like biting a tree bud. I get the impression that bitterness would seem a bit much in any of the three of these even slightly overbrewed, so I might mention that I'm not saying much about that because I'm still using 10 second or so infusion times, maybe on towards 15 in the last couple of rounds, but still short. Overall intensity is plenty at that timing; for some I'd be brewing them too strong. At a lower proportion it would work to double that timing, or more, depending on preference; I tend to go heavy on that out of habit. I'm not saying which I like best, right? They're just different. In early rounds the Yiwu stood out for being bright, sweet, and intense but these other two evolved nicely to a great balance. This third tea is best related to overall intensity, covering the most aspect range, and having the longest aftertaste, which often works as a marker for tea quality. Really I think personal preference would determine which is best, that it doesn't work in these cases to say one is better than the others. Intensity and positive aspect character stands out in the Yiwu, traded off for limited depth and aspect range, to some extent. Any of these could be seen as very positive if someone loved the aspect set, and all three seem well balanced, lacking in flaws that would take away from the pleasant character. I just went through a bit of discussion in difference of opinion related to aging with someone that I'll only touch on here. To me these teas are pleasant, intense, and approachable now, and at a guess I'd like all three the most just as they are right now, versus in years to come, developing and changing through age. To some extent that's a guess, but not a completely uninformed guess. Others would not agree, based on likely transitions that would follow. The limited bitterness present in these would diminish, and warmer, deeper flavors would emerge. To some extent the bright range, the floral and that citrus, would probably swap out for other fruit or potentially earthier tones, a little more leather or trace of spice. I suspect that my present preferences might shift over time; that's how drinking sheng tends to go. Just two years ago I wouldn't have had the same tolerance and appreciation for bitterness as a component, so to some extent I'd have liked these better aged back then, but I expect I will pick up appreciation of another layer of more subtle complexity over time. Of course we just experience teas with out present-day palate; it's a snapshot, of sorts. I'm more into young sheng now. I've had plenty of tea but I'll try one more round for last thoughts. I might also mention that drug-like effect is something people seek out in teas, and tasting these combined I can't say to what extent any one contributes that. The effect is moderate for any of these three, since it's not pronounced overall, which is still normal for typical decent quality teas. Yiwu: more of the same; very nice, just lighter. Impression: intensity may be dropping off a little but not so different than last round either, still very nice. Kuura Vector: given all three of these seem a step lighter my internal clock probably was more the issue, going with an infusion just over 10 seconds versus over 15, probably. Often I'll brew one round strong to see how that compares but to me it makes more sense when I know I'll still like the tea as much, more for oolongs, white teas, or blacks. I could swear this third tea is still transitioning, moving into a bit of pine-pitch range along with all that other list. All three could potentially be seen as the best for different reasons, depending on preference, but this tea showed the most complexity, the strongest aftertaste, and transitioned across the most range. All that is interesting, and cool to experience. I have guesses related to why the character of the three were as they were, especially related to blending being an input versus a narrow range of tea source material being used, but for as long as this is I'll skip passing that on and move to the vendor descriptions. Plenty of conclusions were already mixed in. To repeat one, these are better than I expected, definitely not just type-typical but average quality tea. For Andrew charging essentially nothing for these teas they're absolutely amazing. They still would be nice if they weren't on this level. 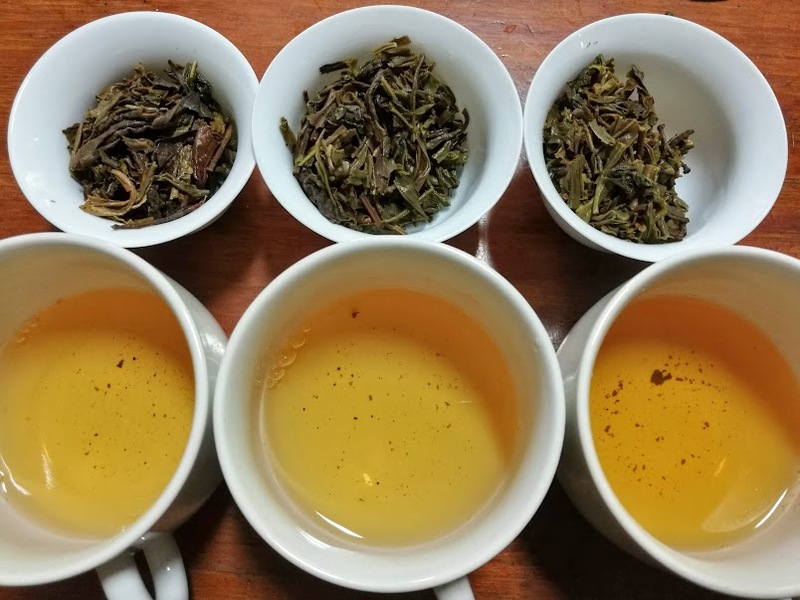 There are other quality levels to be reached but these are reasonably far along that scale, definitely not standard, moderately priced factory teas. I'll pass on even trying to look up the Yiwu source details or description (beyond Googling the apparent spelling--that didn't work); this will run long enough reviewing the other two. 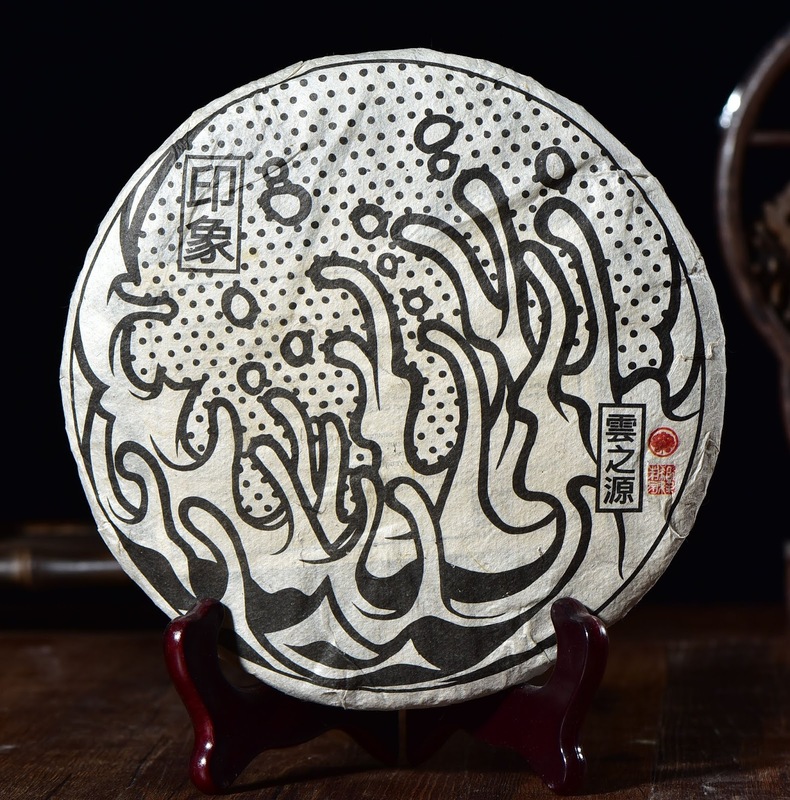 This year's Impression is unique for this year and consists of tea leaves from Spring and Autumn, originating from Mengku, Bang Dong, and Jing Gu tea gardens. The tea has been grown naturally and processed in the traditional method. We blended various teas together to achieve a powerful blend that has strong mouth feeling, cha qi and a balanced sweet, bitter and astringent profile. In 2012 I created the first impression blend to be an alternative to a Xiaguan or Da Yi 7542, but it has far surpassed those mass market teas in both quality and value! I also feel strongly that this tea being very strong in aroma, mouthfeel, bitter/astringent, infusability and Cha Qi, makes it a good choice for long-term aging! I was just listening to Scott's video review of it, which adds lots more detail. I'm not necessarily agreeing with the aspect-by-aspect description (that's normal; aspect interpretations tend to vary slightly) but the general impression matches up. It's complex, well filled in across a range of aspects (balanced), reasonably intense, and good quality tea. I've been tasting a 2014 version of that 7542 Dayi he mentioned, reviewed here a year ago, and I've tried it since, in the past month. I'm still waiting for it to become more drinkable. It's ok, hanging in there, improving, but still on a different scale for bitterness than any of these three versions. If bitter is better that 7542 is better than these three, even after 3 extra years of mellowing out, but of course it's not that simple. To me that Impression version wasn't that powerful, strong, astringent, bitter, etc., but it had decent intensity and balance. Mouthfeel seemed a little light to me, and aftertaste only moderate, but for an inexpensive tea more than one would expect. This being that blended accounts for the overall complexity, which does trade off a bit of aspect distinctness, but it wasn't muddled in effect, to me. I wouldn't say this wouldn't age but the difference of opinion on bitterness and astringency level change that interpretation of potential. It doesn't need age, and may or may not improve with it, since it seems mild enough to just flatten out over time instead. I'd have to buy a cake to see. For people with even a moderate tea budget it might make more sense to buy at least two of these, one to drink and one to set aside for a long while. 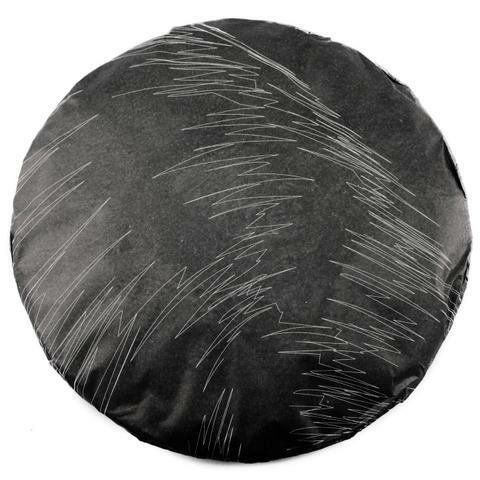 VECTOR is a raw (sheng) puer cake made from a blend of material from various regions of Xishuangbanna. We made this cake after our own tastes for high quality daily drinking raw puer; as much sweetness as we could cram in there, with a rich base to add complexity and strength. Over time the sweetness will only increase, leading to some dark ripe fruit flavours and a hefty body. Perfect both as a hold-no-punches intro to high quality raw puer, and a solid candidate for daily drinking, hoarding, and ageing, with plenty to offer for newcomers and jaded junkies alike. As is our general approach, the teas used all come from carefully selected growing environments, with strong biodiversity and minimal-intervention agricultural practices. This tea has been tested for EU 440 MRL and passed. The tea was pressed in November 2017, using a blend of material from Spring and Autumn 2017. Scott mentioned that his YS Impression version had been tested per EU standards too; that is a health concern, over the long run, and a real selling point. A price difference stands out: Yunnan Sourcing's Impression was selling for $23 for a 357 gram cake, with this at $33 for a 200 gram version (equivalent to about $59 for a 357 cake's worth). Both are reasonable; costing twice as much can still make sense if the character justifies that, and it did cover a bit more range across some aspect dimensions. Personal preference factors in too though; if someone likes that different aspect scope better or not (but they did share a good bit of range). But what do I know about aging transition, really; those earlier comments are just guesses. It seems you need some bitterness and initial intensity and depth to serve as a basis for positive transition, but I'm not really the right person to flag where any given tea is headed after aging. I don't agree with the judgment that the Impression cake is quite bitter as it stands now; I'm just not tasting that. It expresses some bitterness, it's the amount or level that I'm seeing differently. Of course those teas would all still be fine in another couple of years, and one could judge then if transitions seemed positive or not. Per a standard take it gets trickier to identify how they'll come out of awkward ages where the aspects intensity drops off after that before picking back up related to more fermentation effect kicking in later, at some point after a decade. At $23 per cake if the Impression seemed to mostly fade versus improving after being stashed away it wouldn't be a huge loss; I guess more so if a whole tong did. All in all a great start for trying this set. Surely all of those other teas can't also be on this level (one wouldn't think), but aging transition will make some others even more interesting to experience. And the few huang pian I've tried have been interesting so it will be nice to try another. I'm very grateful to Andrew (Liquid Proust) for providing this experience. Attending a detox seminar; what's it all about?